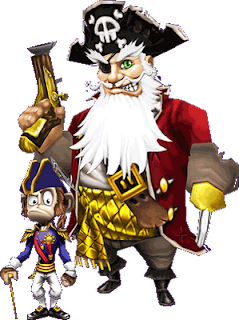 Did you know that tomorrow you can go play Pirate101 for a few hours!? 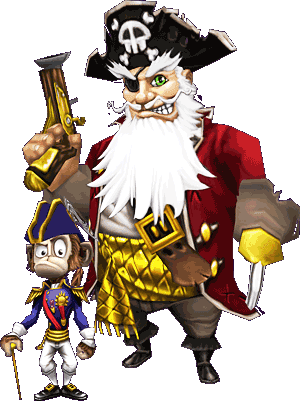 Kingsisle is opening Pirate101 to the public tomorrow from 2:00-8:00pm US Central time so you can all get a feel for what it is like. Do you want more information on how to get it? Keep reading for all the info! 1. Login to Pirate101.com now and download the game installer early -- note that you will not be able to update and launch the game until 2:00 pm US Central on October 4th 2012. 2. Login between 2:00 and 8:00 pm US Central Time on October 4th and play as much as you want for free! 3. At 8:00 pm US Central, we will take our servers offline and return the game to a state where only Closed Beta players have access. 4. Uninstall Pirate101 until our official launch date on October 15th. 5. If you want to keep playing in the Closed Beta or during the one week Head Start beginning October 8th, see our pre-sale bundle page for more information. Access MAY be limited – so check back here for more details and updates on availability! As a reminder, all characters will be deleted before the game launches. This is not considered Closed Beta Access. And therefore no Beta rewards will be given to those who only play the game during the Sneak Peek event. Don't miss out on this opportunity! Go download it today!